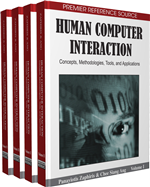 This chapter presents a method for the evaluation of user interfaces for mobile applications. The method is based upon an approach that combines user opinion, standard conformity assessment, and user performance measurement. It focuses on the evaluation settings and techniques employed in the evaluation process, while offering a comparison between the laboratory evaluation and field evaluation approaches. The method’s presentation and the evaluation comparison will be supported by a discussion of the results obtained from the method’s application to a case study involving a Personal Digital Assistant (PDA). This chapter argues that the experience gained from evaluating conventional user interfaces can be applied to the world of mobile technology.